June 20, 2017 By Tina M 1 Comment This post may contain affiliate links. Read my disclosure policy here. 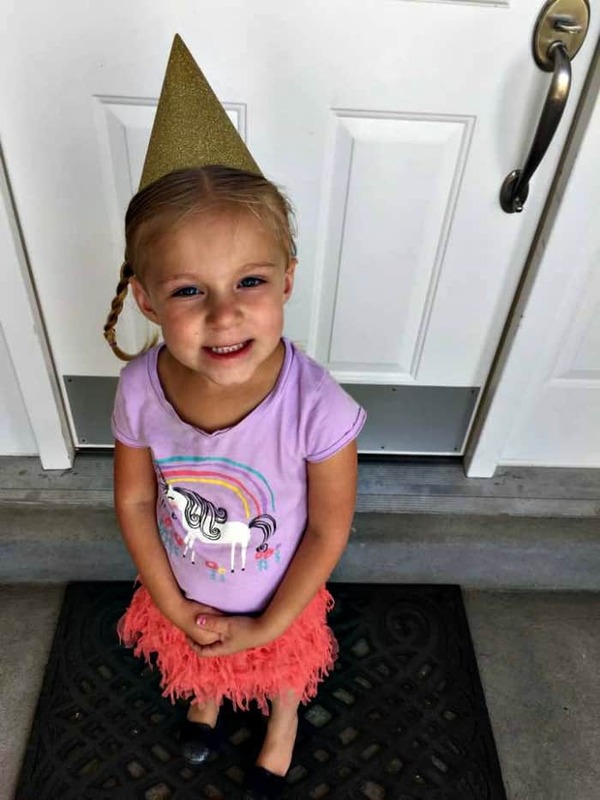 My daughter just had a birthday, and all she wanted was a unicorn party! She’s been talking about it forever! 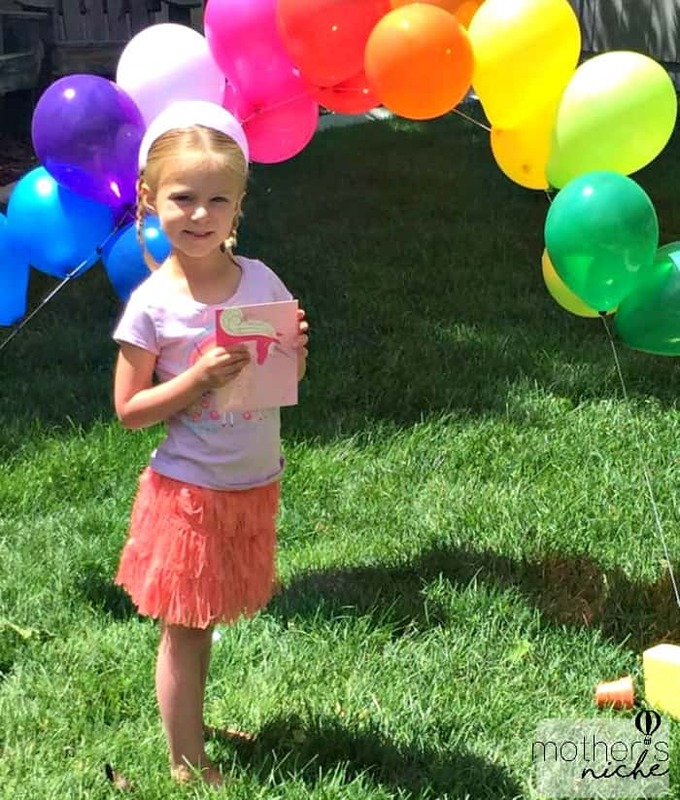 Check it all out below, and make sure you check out our other kid’s birthday party ideas. 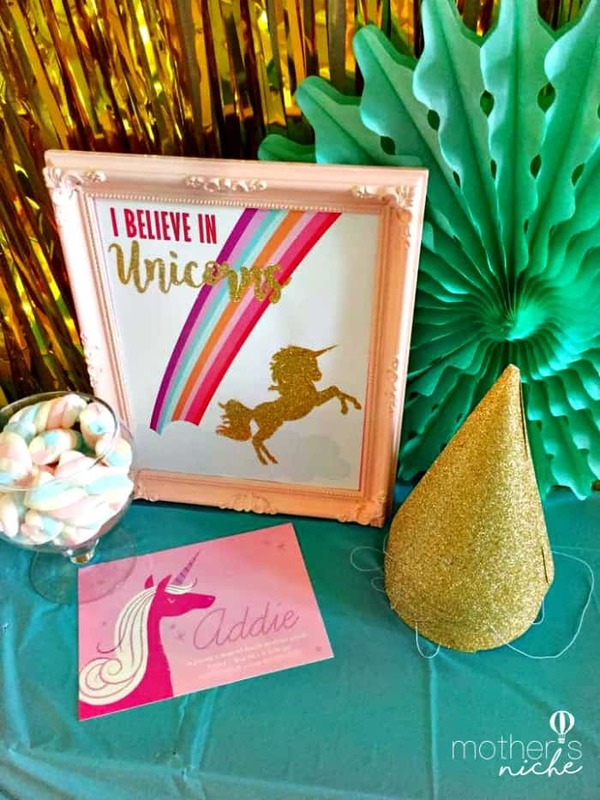 Thanks to the free unicorn printables and party ideas over at Double The Batch, I didn’t have to come up with much on my own! The kids formed 3 lines, and when I said “go” the first three crawled through their tunnels, did 3 hops in the hula hoops, mounted onto their inflated unicorns, and raced to the rainbow! 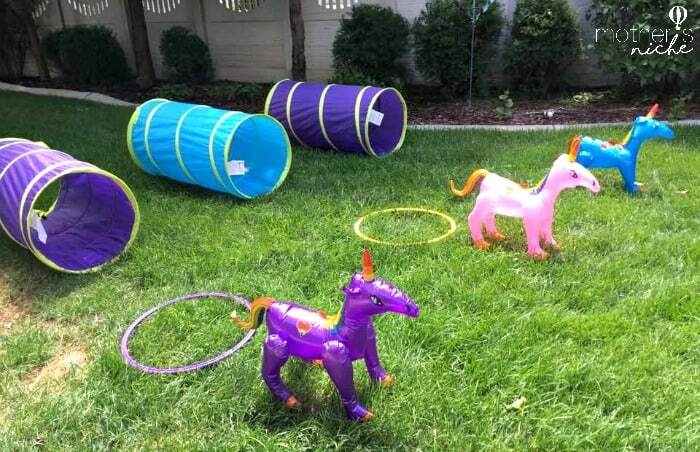 Depending on how many kids are coming, you could easily do this game with just one or two tunnels/unicorns/etc. This was the rainbow they were racing for: Just a bunch of helium balloons with a string holding them down! So easy to make (and way cheaper if you get the helium tank kit). In the above photo, my daughter is holding her unicorn party invite. We have done a lot of parties, but we have never gotten such a response to the PARTY INVITES! I didn’t even know people glanced at those things for more than a second, but almost every house we went to mentioned how cute they were and asked where we printed them. So since I know I will get the same question on the blog, you can find them here. « How to Plan the Perfect Disneyland Vacation (Plus a fun Announcement)! Hi Tina, I love your unicorn party decor. I’m planning on this theme for my baby’s 1st birthday, so some of the ideas won’t apply, alas. I read your blog descriptions and I, too, just found out that I am battling Lymes disease. I am going on Tuesday to a specialist. Hoping to get some answers after quite the journey. I’ve found a book that has had a lot of insight. It’s by a doctor and he has an herbal regimen, I haven’t gotten that far into his program. But the book has some great information. I thought I’d share. Its called Unlocking Lyme by Dr. Rawls. Good luck, and I love your site!